"What is a child custody assessment?" This is when a child psychologist, psychiatrist or social worker meets with all parties to evaluate and recommend who should receive child custody and access. The professional meets with you, your children, your spouse, you and the children together, your spouse and the children together, and any extended family members. The professional then prepares a report with recommendations regarding child custody and access. "How long does an assessment take?" Between 1 and 3 months, depending on how complicated your situation is. "How much does an assessment cost?" Normally, between $4,000 and $10,000. The assessment is normally paid for by both spouses. "Wow! I can’t afford that kind of money. Is there a cheaper way?" A government agency in Ontario, Canada called the Children’s Lawyer can also provide an assessment. This is free. However, the Ontario Children’s Lawyer may choose not to get involved in your case. As well, you do not have a choice over who will perform the assessment. "How important is the assessment report?" It will be very influential in the court’s decision-making about child custody and access. As well, many cases are settled on the basis of what the assessment report recommends. "That’s a serious problem, as the report recommends that my spouse gets child custody. What should I do?" At this point, you must seriously consider whether it truly is in your children’s best interests that you get child custody. If it is, a family lawyer can help you show the court why the assessor’s report is wrong. and the ability and willingness of the parties or any of them to satisfy the needs of the child. (2) An order may be made under subsection (1) on or before the hearing of the application in respect of custody of or access to the child with or without a request by a party to the application. (3) The court shall, if possible, appoint a person agreed upon by the parties, but if the parties do not agree the court shall choose and appoint the person. (4) The court shall not appoint a person under subsection (1) unless the person has consented to make the assessment and to report to the court within the period of time specified by the court. (5) In an order under subsection (1), the court may require the parties, the child and any other person who has been given notice of the proposed order, or any of them, to attend for assessment by the person appointed by the order. the court may draw such inferences in respect of the ability and willingness of any person to satisfy the needs of the child as the court considers appropriate. (7) The person appointed under subsection (1) shall file his or her report with the clerk or local registrar of the court. (8) The clerk or local registrar of the court shall give a copy of the report to each of the parties and to counsel, if any, representing the child. (10) Any of the parties, and counsel, if any, representing the child, may require the person appointed under subsection (1) to attend as a witness at the hearing of the application. (11) Upon motion, the court by order may give such directions in respect of the assessment as the court considers appropriate. (12) The court shall require the parties to pay the fees and expenses of the person appointed under subsection (1). where the court is satisfied that payment would cause serious financial hardship to the party. as to the needs of the child and the ability and willingness of the parties or any of them to satisfy the needs of the child. Should an order for a child custody assessment be made? Subsection 30(2) provides that an order “may” be made rather than an order “shall” be made. As such, it is in the court’s discretion as to whether to make an order. How does the court exercise its discretion? In the past, if requested in a contested child custody or access case, an assessment would normally be granted. However, since the mid-1990’s, courts have been more reluctant to order assessments. This is due to the cost and delay of carrying out an assessment. Assessments should not be ordered in all cases as a vehicle to promote settlement of custody disputes. If the legislatures had intended that assessments were to be a vehicle to settle custody disputes, the legislation would have mandated assessments in all cases. In my view, assessments should be limited to cases in which there are clinical issues to be determined in order that such assessment can provide expert evidence on the appropriate manner to address the emotional and psychological stresses within the family unit in the final determination of custody. Linton v Clarke (supra) is one of the first times a case mentioned that there must be “clinical issues” to be determined for a child custody assessment to be ordered. What exactly a clinical issue is has not been well defined in the cases. As well, the cases have not been consistent in requiring there to be clinical issues for an assessment to be ordered. 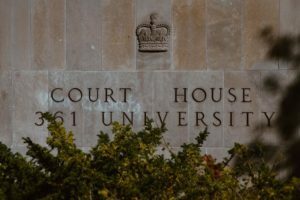 Ottawa Judge, Madam Justice Blishen stated that a parent’s angry outbursts and irrational behaviour were not enough to be considered a clinical issue. In this case, the father alleged that the mother was manipulating the children not to want access with their father. There was no discussion of clinical issues. A child custody assessment was ordered, despite the fact that the Office of the Children’s Lawyer had been involved and had filed an affidavit. The court found the mandate of the Office of the Children’s Lawyer to be to narrow (namely, “to provide assistance in confirming the views of the children”) and an assessment would be more helpful in determining whether the mother was alienating the children from their father or not. In my view an assessment should not be ordered automatically. Mr DPL has the onus of justifying the request. He is required to establish that the home study is likely to provide evidence that pertains to the welfare of the child and would not be discoverable otherwise. In this case, there was extreme bitterness on both sides. The mother claimed that the father was a workaholic physician who was never interested in his children and had violent temper tantrums (although she admitted that this was never against her or the children). The father claimed that the mother exhibited signs of being mentally unstable. He also argued that in the wife’s previous relationship, she manufactured fears of violence and abuse to gain a tactical edge in the litigation (he showed this with an affidavit from her former husband). The court stated that although there was no clear clinical issue, the parties were so diametrically opposed in their views of the other that a neutral third party would be helpful to the trier of facts. s.30 CLRA… Although a clinical issue may be an excellent reason for a court to obtain the assistance of a professionally prepared assessment, it is not the only reason that an assessment might be ordered. [….] Although assessments should not be ordered in every case, neither should they be limited to those cases where “clinical issues” are involved. In addition to the pronouncements of an expert, assessment reports also provide, admittedly often in hearsay form, mountains of information about the family that simply is not found in the pleadings before the court. There is no question that this is factual material and that it forms evidence that is before the court. This, I suggest, is a major contribution to the evidence needed by the court to make a proper decision. In this case, the father brought a motion for a child custody assessment because he was continually being denied access. The mother stated that this was because of the children’s scheduled activities. Access suddenly ceased. The mother claimed that the children did not want to see their father. The father claimed that the mother was manipulating the children. An assessment ordered because there were issues of the mother allegedly manipulating the children. As well, a child custody assessment was needed to determine the root cause of the children’s alienation from their father. There are many such cases, as it is more common to refuse a child custody assessment than to order one. Assessments by their very nature are intrusive. They are also expensive and time consuming. There must be evidence sufficient to satisfy the court that the reasons for requiring the assessment more than offset any harm that might be incurred by ordering the assessment. The paramount concern must be the best interests of the child….. Ultimately, the court has the discretion as to whether or not to order a custody/access assessment. If such an assessment would be materially helpful on clinical issues relating to the best interests of the child and such an assessment itself, is in the best interests of the child, then it may be ordered. Another decision by Madam Justice Blishen refusing a child custody assessment is Vanier v Vanier,  O.J. No. 5244 (S.C.J.). In this case, the father requested an assessment on the ground that the mother had alienated him from their younger son, age 11. He provided plenty of evidence of difficulties surrounding his access. Madam Justice Blishen found that there was insufficient evidence to justify an assessment. The father was exercising regular access, and once the son left his mother and was with his father, the son enjoyed his time with his father.